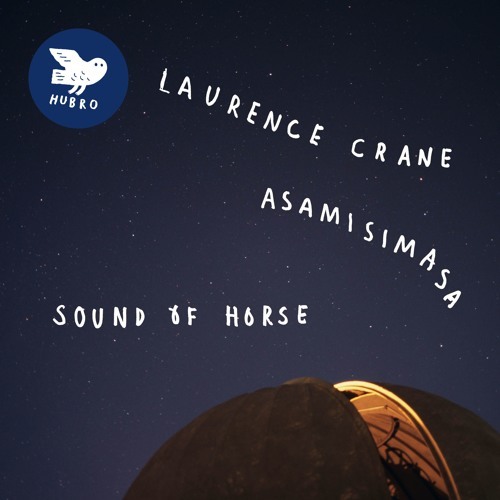 Pre-order on iTunes: https://itunes.apple.com/no/album/sound-horse-feat.-asmamisimasa/id1155129623?l=nb Laurence Crane / asamisimasa announce new album "Sound of Horse" to be released on HUBRO on November 25th. Music might be abstract, but listening never is. Particular sounds give rise to particular associations: a feeling, say, or a sense of place. A composer writes marks on paper, yet we think of drifting clouds or the play of light across a room. The music of the English composer Laurence Crane provides fertile ground for such allusions, perhaps because of its very indefiniteness. On the face of it, his carefully hand-written scores move notes across a page, using minimal resources to create elegant formal shapes whose simple repetitions or drones gather cumulative weight as they go. But in performance by the Norwegian group asamisimasa, these sounds evoke a vivid imaginative world, from the humdrum -- the chime of a clock, a siren’s wail, the whirr of an air-conditioning system -- to the sublime. Unlike most composers, Crane deals with beauty quite unapologetically, and this is a very beautiful album. Allusions, and the sounds which provoke them, are also culturally specific. Crane (born in Oxford, 1961) operates in an international context but it’s possible to read his music as in some ways emblematically English, however fanciful such determinism may be. One thinks of Brian Eno, say, as much as Morton Feldman; of the painters Constable and Turner, even. It is also hard not to see an element of wilful English eccentrism in Crane’s choice of texts for the three movements of ‘Events’: lists of famous people’s birthdays, selected foreign exchange rates, and a record of UK weather, all taken from one day’s edition of The Guardian. Like the ensemble Apartment House, with whom Crane has worked for 20 years, asamisimasa has an important history with the composer: a relationship which amounts, in effect, to a partnership. They presented this album’s opener, the superbly pliant ‘John White in Berlin’, at the Ultima festival in Oslo in 2008 and have since performed it a number of times internationally. The group’s percussionist (and the producer of this album), Hakon Mørch Stene, also included a version of Crane’s ‘Riis’ - a piece re-presented here by asamisimasa - on his Hubro solo album ‘Lush Laments for Lazy Mammal’, in 2014, where the original instrumentation was re-voiced for guitars, multi-tracked in the studio by Mørch Stene himself. The title track of this recording, ‘Sound of Horse’, which was commissioned by asamisimasa, is the most recent of Crane’s compositions to be included here. Premiered in 2009 and developed since then through further performances and a demo recording, it is once again the product of a longstanding creative dialogue between composer and performers. Its varied progress over seven movements emphasises the range of Crane's writing, and its continuing development. The occasional intrusion of a few very insistent ‘rock’ elements also refutes a too overdetermined view of his work: by lobbing a nice big stone into the calm surface, the ripples of allusion may have to be reformed. The title of ’Sound of Horse' is itself formidably allusive, although the double meaning needs teasing out. It relates, Laurence Crane says, to the name of a stretch of water - Horse Sound - by the Coigach Peninsula in the west of Scotland near where he was staying when he first began to conceive the piece, and also to the late, great, rock guitarist, Mick Ronson. “On a few occasions during Mick Ronson’s work with David Bowie in 1970-73”, Crane says, "he made his guitar sound like a horse’s ‘neigh’, most notably on the song ‘Time’ on the LP ‘Aladdin Sane’." The score is dedicated to the four members of asamisimasa, with an additional inscription right at the end: ‘In Memoriam Mick Ronson (1946-1993). Available as CD with 16 page booklet, 2LP with printed inner sleeves and bonus track and on all digital platforms.